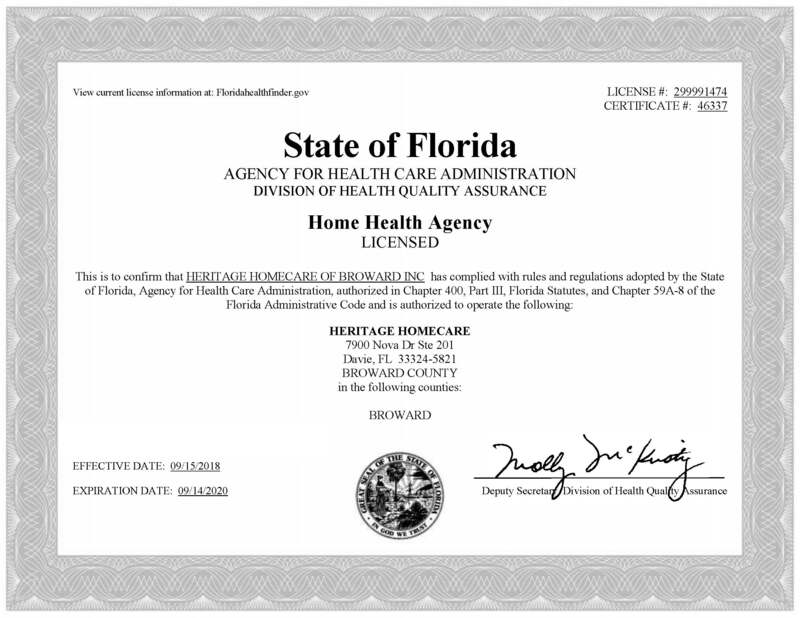 Thank you for visiting the Heritage Homecare web site. Your privacy is very important to us. Simply stated, our policy is to collect no personal information about you when you visit the Heritage Homecare web site, unless you affirmatively choose to make such information available to us. When you visit the Heritage Homecare web site, the Web server automatically recognizes only the Internet browser and operating system from which you accessed the site. This information does not result in the identification of your personal e-mail address or other personal information. In addition, information is only gathered regarding the volume and timing of access to the site by collecting information on the date, time and pages visited. This is done so that the content of the site or navigation of the site can be improved. If you choose to share personal information, such as sending a message, or filling out an electronic form with personal information, the information will be saved only until such time a response or request is fulfilled. However, information will not be disclosed to third parties or other government agencies, unless required by state or federal law and/or in accordance with the Health Insurance Portability and Accountability Act of 1996 (HIPAA). Contact information and/or email addresses will NOT be shared with any other parties. Due to the high amount of spam email, Heritage Homecare reserves the right to block email from any domain/sender at its sole discretion. All email for this domain is viewable by administration. Please use form submission requests or telephone contact to assure that any request for information is received by our office.